Fans of the Star Wars saga should be pretty excited today, as we’ve just gotten our first real look at Episode VIII, aka The Last Jedi. 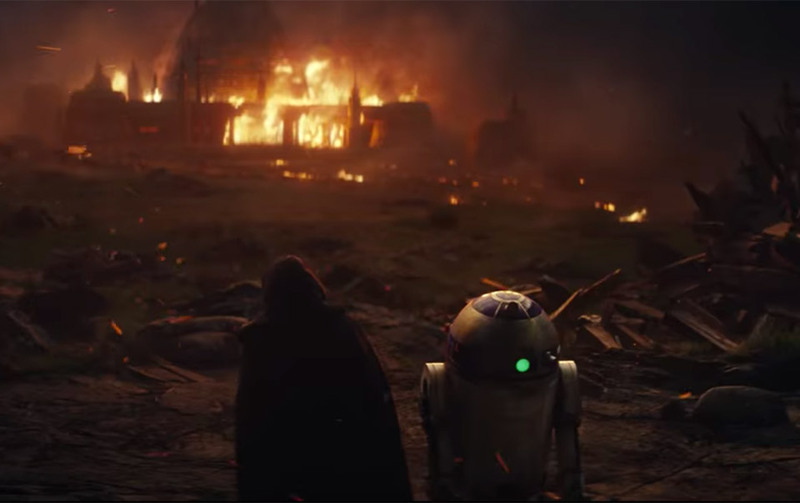 The 2-minute teaser trailer will surely be picked apart second-by-second by superfans, but for now, here are the highlights: It picks up where The Force Awakens left off – with Rey back on the island with Luke, and quickly leads us into what seems to be a training scene in which Rey learns to control and understand The Force. Now before you go thinking that Luke has gone all evil on us, what I’m thinking is that he now sees both the Light Side and Dark Sides of the force as both being too extreme, and that he wants Rey to focus on bringing true balance to the Force. I suppose that would make sense, given the fact that Luke was supposed to bring balance to the Force when this all began, and maybe being a Jedi isn’t being balanced at all. At least that’s my take on it. Watch the trailer and think about it for yourself. Fortunately, we won’t have to wait too long to see The Last Jedi. The film hits theaters this Christmas. I’m pretty excited for this one personally, since Rian Johnson is at the helm, and he directed Looper, one of my favorite science fiction movies of the last decade.